In today's crazy politically correct world, a lot of places are banning guns from the premises leaving most people completely unprotected from someone that doesn't care about the rules. These gun free zones may sound like a good idea to those folks that are wearing rose colored glasses, but to anyone with common sense we need to be prudent based on school shootings, theater shootings and what just happened in Paris, France. Gun free zones are targets to the unhinged mind because they know that they will be able to commit carnage and it will take time before anyone shows up to stop them. Think about when you are out at a concert, ball game, Theater, Mall or any venue where there are a lot of people grouped together. These are all easy soft targets for the crazies that want to make a name for themselves or their group. People that think the police will save them from these occurrences are blind to the fact that it takes law enforcement a lot of time to respond in most situations and if the crazies with the guns have the forsight to lock the victims in a building then it makes things even worse. Having some sort of protection while in victim mode gives you a distinct advantage over the shooter because he isn't expecting anyone to fight back. Most people that actually believe in gun free zones need to wake up and realize that the only one that is going to protect their families or loved ones is an armed person or someone near them that are prepared for this type of action. Carrying a gun isn't always the best idea and due to the tightening laws in every city, and we must be aware of other options that are available to us. 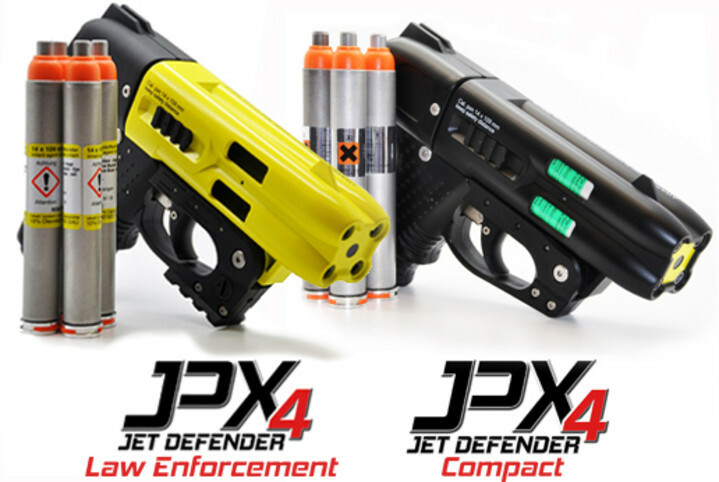 The JPX Pepper Gun is the perfect less lethal carry weapon wherever you travel. It's not considered a firearm by the ATF and fires only liquid Pepper eliminating any lethal collateral damage that would occur with a firearm. Since it doesn't fall into the legal title of a "firearm", then most of these establishments shouldn't have an issue with you carrying the product. It's perfect for your car because most people know the danger of carrying a live firearm outside the house. 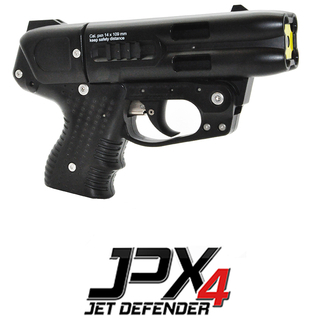 This is a product that you can pull out, aim and shoot and not worry about harming the people around you. Don't be caught empty handed when it may be your life or the lives of your loved ones..